With the FDA approval last month of the radioactive diagnostic agent florbetapir, the industry continued the trend toward improved identification of beta-amyloid, the brain plaque associated with Alzheimer’s disease. Questions still exist about how best to use these tracers, but industry experts view these developments as significant positives for patient care. Having another tracer available to use when imaging patients with suspected Alzheimer’s will also benefit providers, said Satoshi Minoshima, MD, PhD, director of the Neuroimaging and Biotechnology Laboratory at the University of Washington in Seattle. 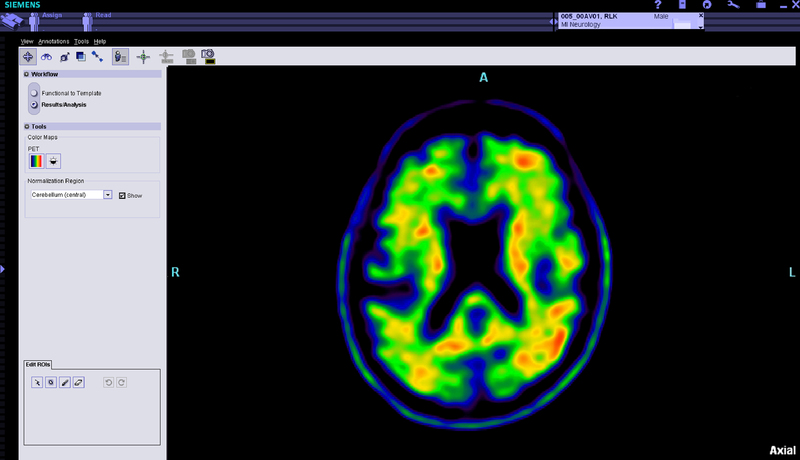 As a radioactive tracer, florbetapir binds to beta-amyloid plaque to make it visible through PET scans of the brain. Under the brand name Amyvid, it is the only FDA-approved imaging agent for amyloid plaque on the market, but it’s by no means the only one on the industry’s radar screen. Last year, GE’s flutemetamol entered Phase III clinical trials, and Pittsburgh compound B (PiB) has been used in Alzheimer’s research since 2002. It’s this growing list of radioactive tracers that has the Society of Nuclear Medicine (SNM) anticipating the industry will make a greater clinical impact with Alzheimer’s, as well as other conditions. Making molecular imaging agents more readily available could open doors for more clinical research and clinical trials. And, that’s what one vendor has tried to do. In April, Siemens rolled out a first-of-its-kind integrated PET diagnostic imaging system that can detect beta-amyloid in the living brain. 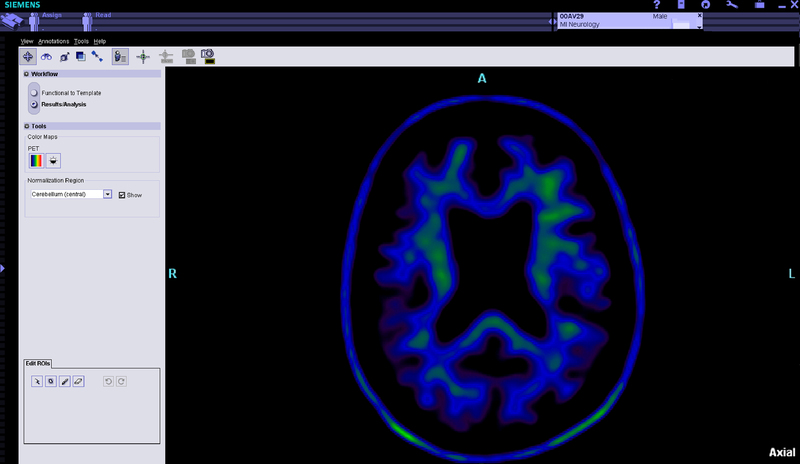 The PET system, currently under FDA review, includes the new Biograph mCT™ PET•CT scanner, syngo.PET Amyloid Plaque neurology quantification software, and florbetapir.